Rare has announced a release date for Sea of Thieves‘ latest update, Shrouded Spoils. The bundle of new content is set to sail our way tomorrow (November 28). Something is emerging through the fog… Shrouded Spoils, our latest free content update arrives tomorrow! 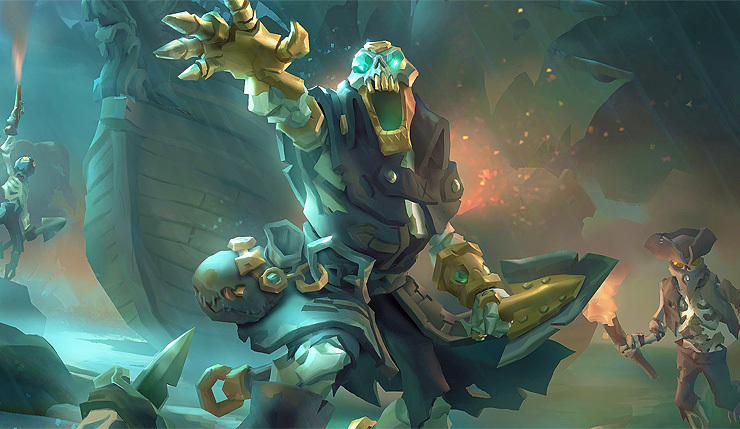 Also included in Shrouded Spoils are six new skeleton fort locations, skeleton galleons and sloops, additional ship customization options, the explosive Mega-keg item, and more. On top of all that, the kraken and megalodon have been improved – the kraken has a new attack, and both mega-beasties now drop special loot. In other words, this update is kind of a grab bag of stuff, but that’s okay as the next update after Shrouded Spoils will be a weighty one that adds competitive PvP and other big features.